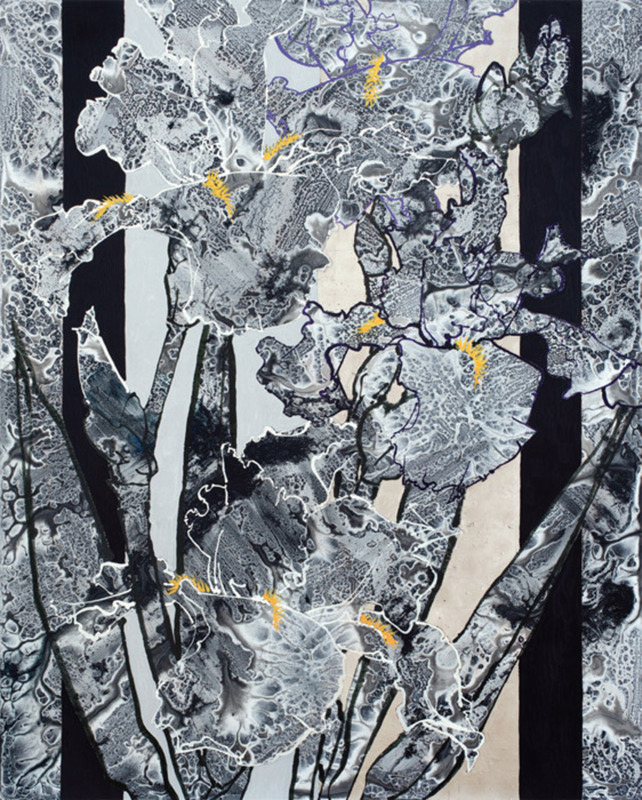 Robert Kushner, Iris Ascendant, 2012, oil, acrylic, and palladium leaf on canvas, 90 x 72". Since the 1980s, Robert Kushner has used flowers as his signature motif, rendering leaves and blossoms in outrageously lush colors and against complex, geometric backgrounds. Recently, he has apparently grown more assertive in his application of the theme. 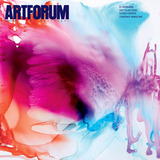 In this new body of work from 2012, inspired by Willem de Kooning’s black-and-white paintings (seen in the latter’s 2011–12 retrospective at the Museum of Modern Art, New York), Kushner explores new techniques and meanings, abandoning the warm colors of his earlier works for a colder, floral world where grays and blacks prevail. It is riskier territory.